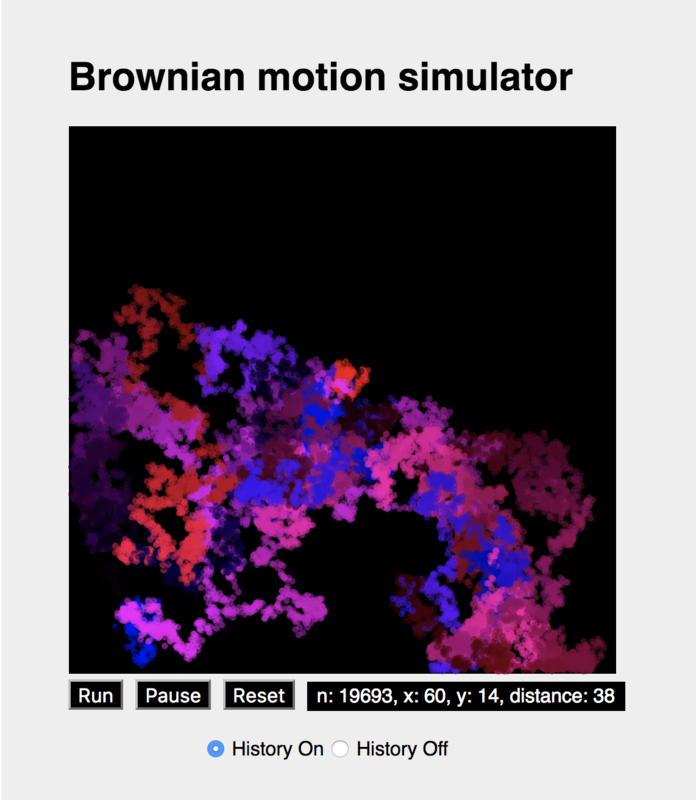 MiniLatex is an experimental project to render a subset of LaTeX in the browser. It relies on MathJax to render matheamtical text — $ .. $ and $$ .. $$ — and adds constructs such as section numbers, a set of macros, e.g., \emph, and a variety of environments e.g., theorem, equation, align, tabular, and verbatim. The aim is to be able to write things like lecture notes that can rendered in the browser by processing with MiniLatex or into PDF by standard tools such as pdflatex. See the MiniLatex links above for more information and for demos. For an early article on the subject, see . All of the MiniLatex apps rely on the MiniLatex parser-renderer package. 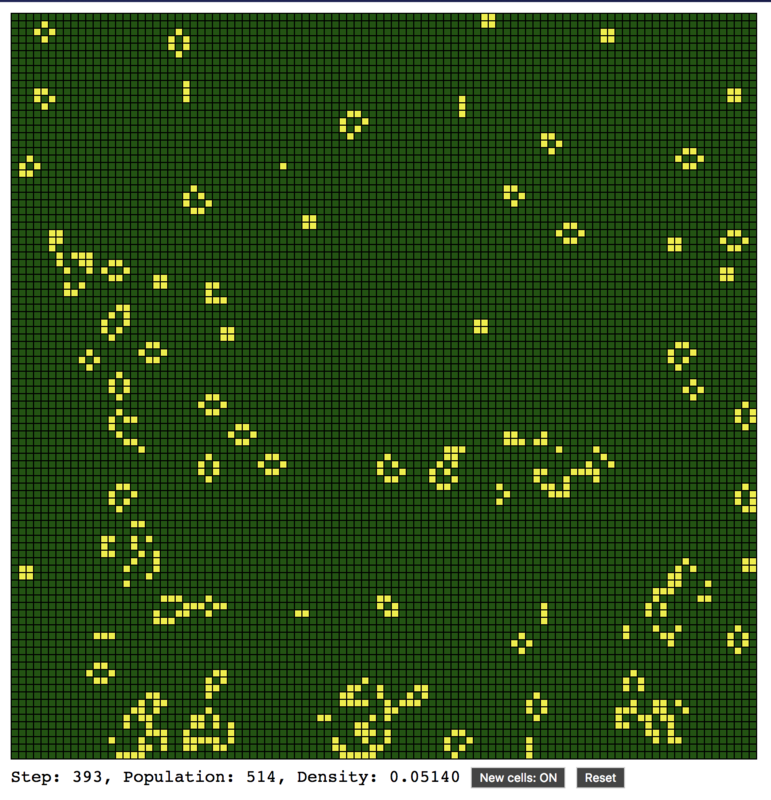 It, in turn relies on Evan Czapicki's elm/parser library — a parser combinator library along the lines of Haskell's Parsec. Elm is a statically typed functional language. 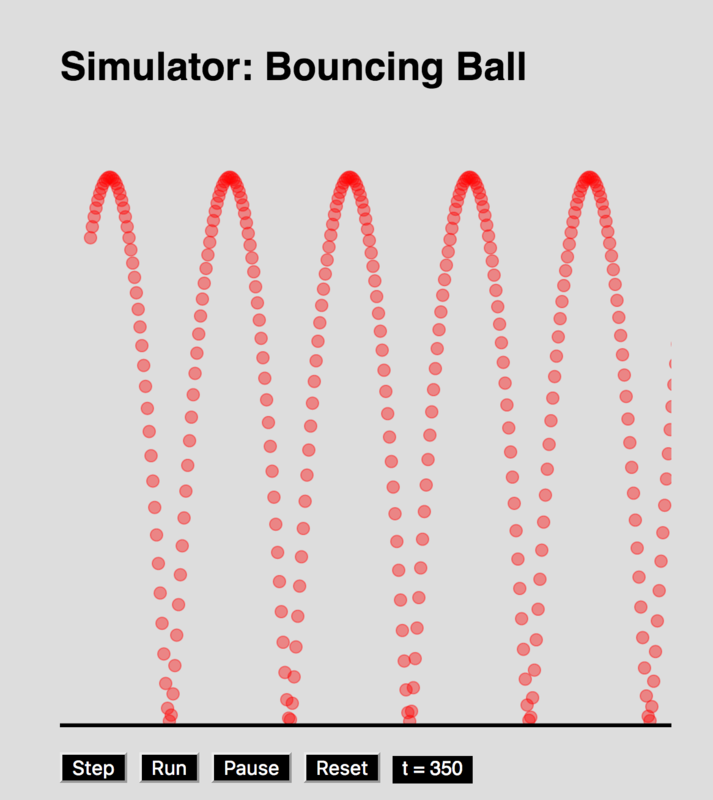 In the Bouncing Ball demo, a particle is set in motion and is then left to move under the influence of two forces. The first is the downward force of gravity. The second is a short range repulsive force exerted by the floor. Think of an elastic surface such as wood. We model this by an upward force which decays exponentially with height. The idea here is not to cheat by just reflecting the velocity vector when the ball hits the floor, but rather to use forces. The force should have very short range, since the ball does not "feel" the floor until it is very, very near. Exponential decay of the repulsive force models the idea of "short range." Click on app image to run it. 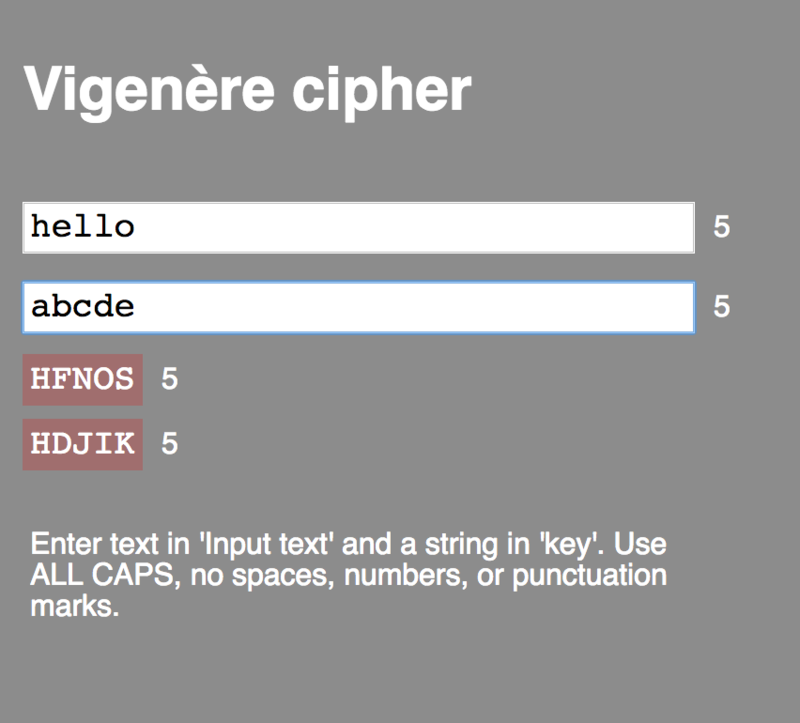 Make the key longer for more security, as in the images below. Or make it as long as the message. 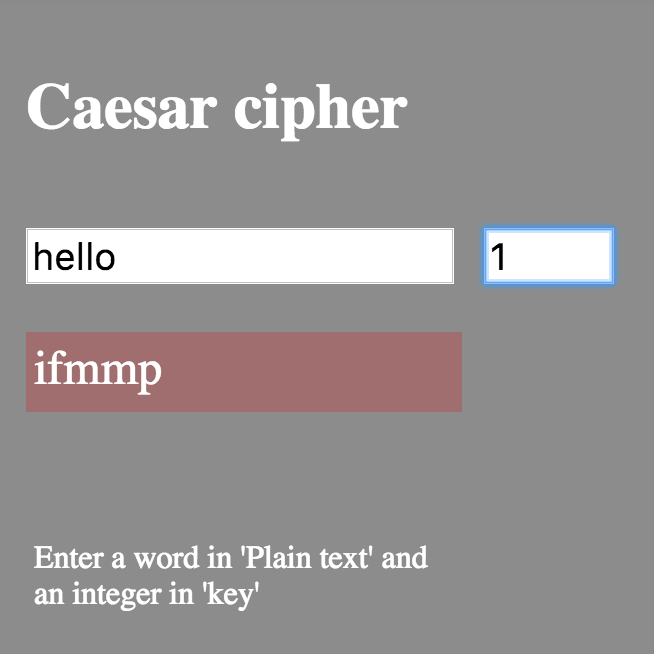 Then each letter of the message is shifted independently, making the Caesar cipher into a one-time pad. See Elm by Example, Caesar Code and the section following it. 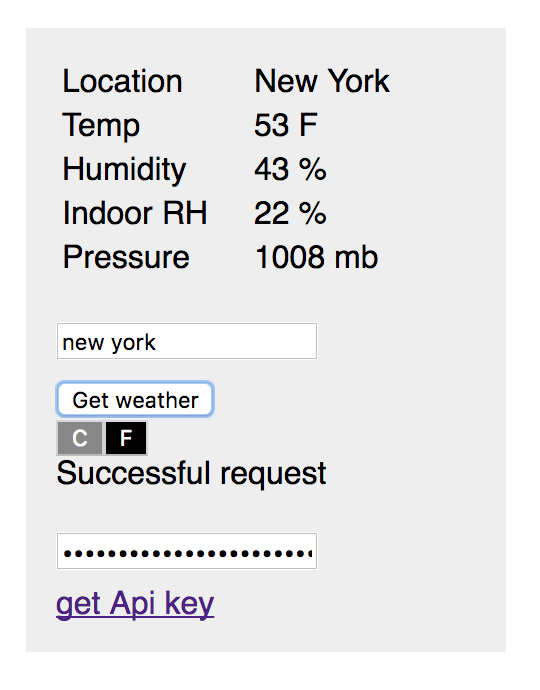 You will need to get a free API key from openweathermap.org to use this app.